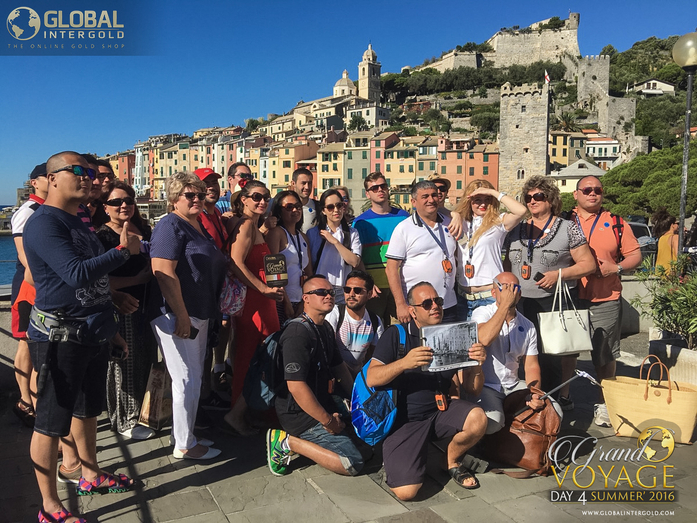 [Exclusive photos] The participants of the Grand Summer Voyage 2016 compete for 1kg of gold! 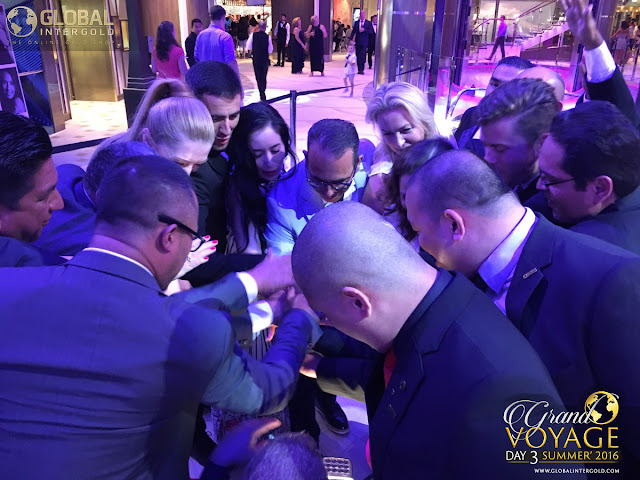 Not very long ago, we announced that a competition for 1 kg of gold was going to be held on board the Harmony of the Seas, the cruise ship in which Global InterGold's customers have embarked on the Grand Summer Voyage 2016. 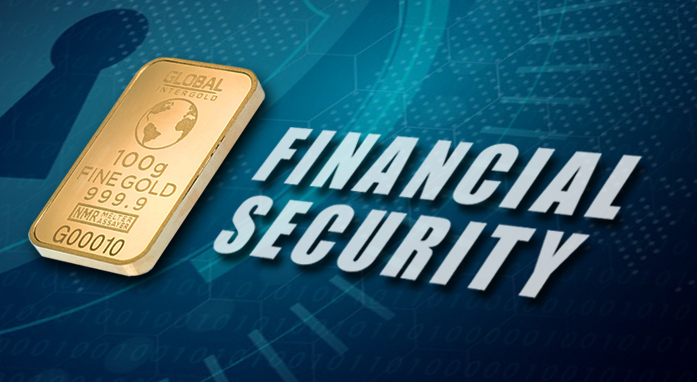 The 1 kg Gold Contest is happening right now! A prize of the first 1kg of gold ever given by the company. Will the customers be able to accomplish all the tasks? Here there is a sneak peak for you: the first stage of the competition has been successfully passed by all the customers. They found the specific locations in Marseilles and recorded videos with them in the background. The rest of the contest's stages will be detailed soon! Follow all the updates on our website and social networks. Do not forget to spread the word of the adventures lived in the Grand Summer Voyage 2016!